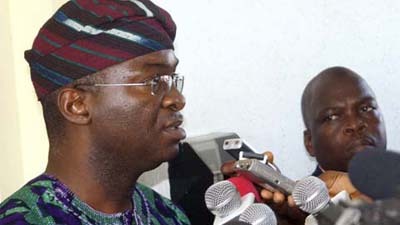 lagos—The governorship candidate of the People’s Democratic Party, PDP, in Lagos State, Mr. Jimi Agbaje, has challenged Governor Babatunde Fashola of Lagos State, to present the tax receipt Agbaje was supposed to have paid after being publicly accused of evading land use charges on his business premises. 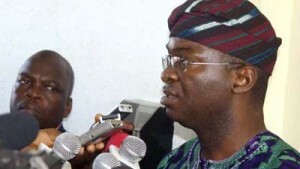 Governor Fashola had last week alleged that the PDP governorship candidate had paid N500,000 of the total sum of N1.6 million reportedly owed from the backlog of three years’ Land Use Charge tax. Agbaje, in a statement by his Director of Publicity, Felix Oboagwina, challenged the Lagos State governor to produce the tax receipt. Setting the records straight, the governorship candidate said that JayKay Pharmacy continued to maintain that it owed the government no land use charges. 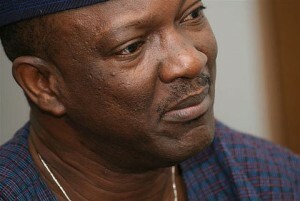 Agbaje noted that “There is no truth in this latest piece of misinformation that the governor is spreading around. He lied again, giving the impression that my company paid money after his initial outburst and his first lie.